Announcing the release of Leaping Lemmings! September 6, 2016! Just because it looks very cool: Leaping Lemmings! in Mandarin. 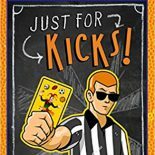 This entry was posted on June 3, 2014 by johnbriggsbooks in Book Trailers, Uncategorized and tagged Book Trailers, children's books, Judy Garland, Leaping Lemmings, Mary Dyer, middle-grade books, pete seeger, picture books.